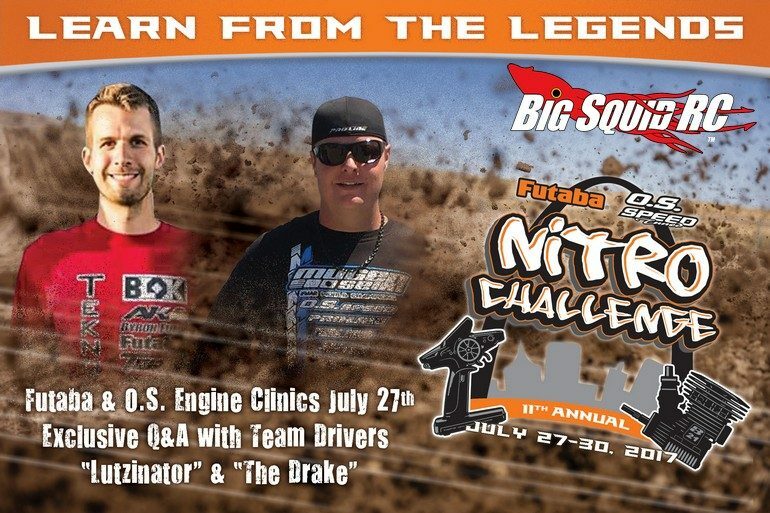 Adam Drake & Ryan Lutz To Hold Exclusive Q&A Clinics At The Futaba Nitro Challenge « Big Squid RC – RC Car and Truck News, Reviews, Videos, and More! One of the biggest nitro races held each summer is the Futaba Nitro Challenge. The event has been held at the St Louis Dirtburners track for several years now and this year’s event is expected to be a monster. To make it even better, world famous rc race car drivers Adam Drake and Ryan Lutz will be holding a pair of clinics to answer your questions and to give you some hot factory driver tips. The clinics are being held on a practice day at the Nitro Challenge, July 27th. This just gives you one more reason to make the trip to St Louis for the big event. As in years past, the BigSquidRC Bash Crew will be there for event coverage, and if you see us, we’ll have plenty of stickers to give away. To get full details on the Futaba Nitro Challenge, you can use This Link to visit the official website. Get all the latest Hobbico News right here on Big Squid.